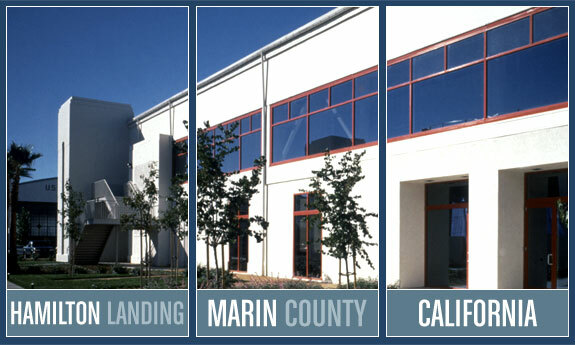 Hamilton Field in Novato (Marin County), California, is a model community filled with a vitality and energy all its own. Since its inception as a planned community about ten years ago, Hamilton Field has seen vast improvements and is now a magnet community for folks of all different ages and backgrounds. Hamilton Field is a jewel. The former military base, which was used by the Army and Air Force from the 1930’s to the 1970’s, is now a delightful community of over 1,000 homes. It is, to my mind, one of the very best communities in Marin as it has everything you need within easy walking distance (including shopping, dining, and all kinds of outdoor activities from swimming to skateboarding and biking to birdwatching). The 408-acre Hamilton Field site in southern Novato sits east of HWY 101 at the Hamilton exit in desirable Southern Novato. The property is punctuated by old military buildings, most of which have been renovated and are used for community purposes, such as a theater, museum, and more. The most impressive remnants of the military base are undoubtedly the old airplane hangers. The original hangers have been renovated and are now called Hamilton Landing. They are home to dozens of businesses, including Birkenstock, Disney’s ImageMovers, and many others. 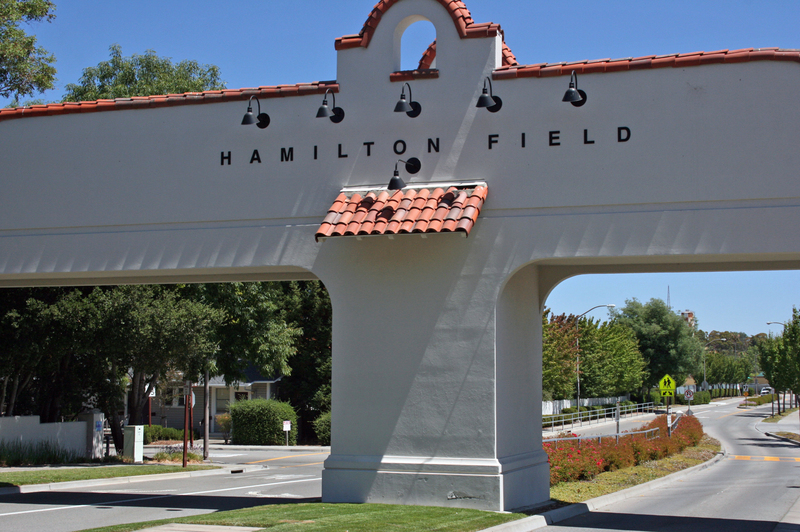 Hamilton also features over 70 acres of parks and open space and 50 acres of community facilities, including: a library, art center, theater, soccer fields, baseball field, many open fields for picnics and romping, trails, open space, an ampitheater, pool, YMCA, and a skate park. Hamilton Field’s housing units are situated in several neighborhoods: Bayside, Hamilton Meadows, Hamilton Park, Southgate, Traditions, Inspirations, Sunny Cove and Newport. Each neighborhood has a different feel. Hamilton Field is considered desirable by many because all the homes are relatively new, with the earliest being built in 1999 and the most recent being finished in the past couple of years. Newer homes simply have fewer problems. My many clients in Hamilton Field simply love where they live. Driving through Hamilton Field always brings a smile to my face because of all the people out and about enjoying the sunshine. If you have any questions about Hamilton Field or if you would like a tour of the different neighborhoods, please let me know. My name is Kyle Frazier. I am a broker and Certified Residential Specialist (CRS) with Frank Howard Allen Realtors (the biggest and best real estate firm in Marin County). And it is always my pleasure to be of service. I can be reached at (415) 350-9440.